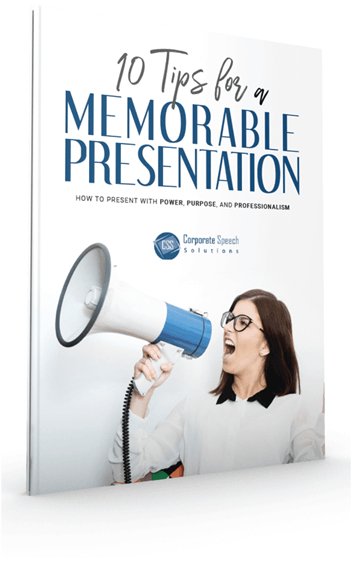 "Ten Things You Need To Do To Deliver A Memorable Presentation"
YES! I'm ready to discover ten things I need to do to deliver a memorable presentation and present with power, purpose and professionalism! You will discover how the most successful business professionals present with power, purpose and professionalism. Also, on the next page, you'll get all the details about how you can immediately get help building more clarity and confidence as a professional. Just enter your first name and your email address and click the "Yes! Sign Me Up For My Free eBook Download" button below and you'll be taken to the Free Download page.